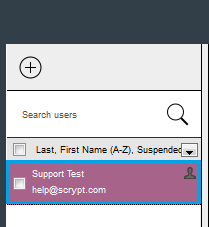 Both standard Users and Account Admins have the ability to set a default number. This is required for any API users, and will allow you to set the primary (but not exclusive) outbound line if assigned to multiple lines. 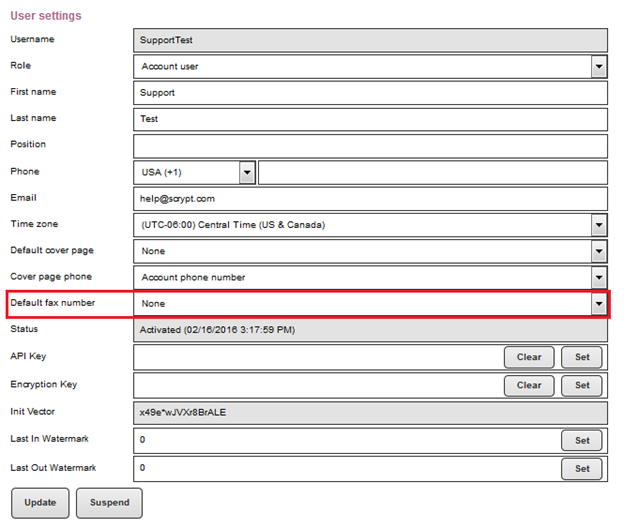 If no fax number appear in the "Default fax number" drop-down check to confirm that the user is assigned to a fax number. From there, select the Settings icon from the top of the left column. 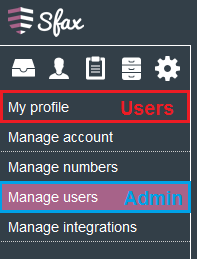 Account Users will be able to select My Profile and modify their own setting, while Account Admins will be able to select Manage Users to modify settings for other users. Admins will then select the user they wish to modify. The user information will then load in the right display panel. 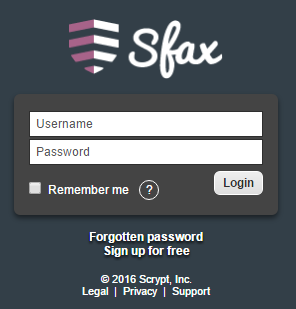 Select the “Default fax number” drop down menu. Then select one of the available fax lines for the user. Once you have made your selection, click on the Update button on the bottom left of the panel to confirm the changes.